Page Croyder, formerly of Baltimore State’s Attorney’s Office, has a critical take on the charges thrown at the six city police officers. According to Page, State’s Attorney Marilyn Mosby can herself be charged for an illegal arrest. Croyder also believes Mosby faces a potential civil suit for her sloppy work against the officers. This article was first published on Croyder’s blog. It was republished in the Baltimore Sun minus the crucial paragraph about her arrest. …Mosby has undermined the cause of justice rather than promoted it with her haste. She has created an expectation of guilt and conviction. But her own charging documents do not even support the most sensational charge of second degree murder, and they raise multiple points of doubt about other charges. If no convictions occur, many will blame the system as unfair or unjust, when it may have been Mosby’s own lack of competence and/or ambition in bringing charges so quickly. However much her performance raises her to star status, she will have dealt a blow to the justice system. And she has created a new expectation in the city: that police officers who arrest without what she considers to be probable cause (an often subjective standard) are subject not just to civil action (the current norm) but criminal action. Mere mistakes, or judgments exercised under duress, can land them in the pokey. How about Mosby’s own mistake? Her case against the two arresting officers rests upon an “illegal” arrest. She says the knife that Freddie Gray was carrying was legal. But according to the Baltimore Sun, the police task force examined it and said the officers were indeed correct, the knife was spring-assisted and therefore prohibited. If so, it was Mosby who made the “illegal” arrest, and could be charged under her own theory of “false imprisonment.” And sued to boot, since she forfeited her immunity from civil action by doing the charging herself. 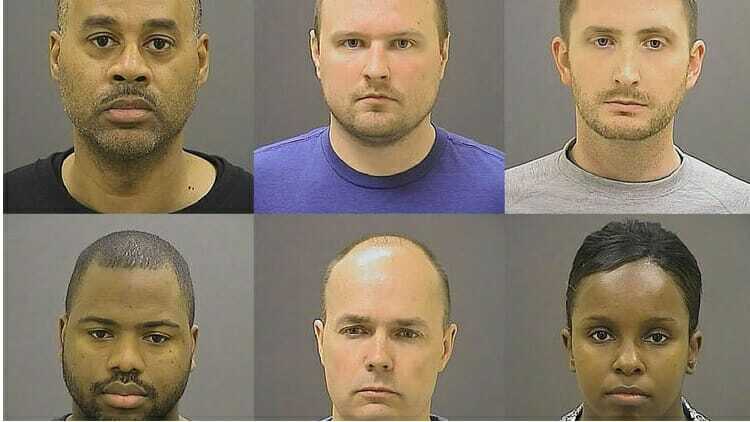 If I were a Baltimore police officer, I’d be looking for another job immediately. And as a Baltimore citizen, I may start looking for someplace else to live. When the police cannot depend upon the state’s attorney to be as thorough, competent, non-political, and fair with them as she is supposed to be with all citizens, none of us will be safe.